Heritage Creek in Milton is a beautiful active lifestyle community in tax-friendly Delaware. Heritage Creek encourages an active lifestyle and provides surroundings that any homebuyer will find enjoyable. Buyers will be awed by the sturdy Craftsman houses and charming Victorian-style homes, which are quality-built with meticulous attention to detail that maintain the wonderful quaint feel of historic homes of this area. Residents and visitors alike are greeted by wide boulevards, tree lined streets, and lush plantings. Heritage Creek is within walking distance to many parks and shopping is nearby in the historic district of Milton or at the modern shops of the Tanger Outlets on Route 1. Popular towns and resorts throughout coastal Delaware provide additional shopping and recreation opportunities. There is a 3,500 square-foot clubhouse that is located at the heart of Heritage Creek. This gathering house will provide the perfect setting for creating new friendships and connecting with your Heritage Creek neighbors. It will contain a community pool with lap lanes for adults and colorful games and slides for the kids. Besides use of this clubhouse, the reasonable monthly association fee at Heritage Creek in Milton includes grass cutting and lawn maintenance, recreation area maintenance as well as snow removal. Schell Brothers started construction of Heritage Creek in 2008, however Fernmoor Homes has taken over with plans to complete the community with about 400 homes. Homebuyers can currently select from both new construction and a small assortment of resale homes. Buyers can choose from free-standing single-family homes or attached duplexes ranging in size from 1,459 to 2,854 square feet. The neighborhood features a traditional overall design and is comprised of farm houses with wide porches, Craftsman style homes with sturdy beams, wonderful architectural details, and lovely Victorian style houses complete with whimsical turrets. Homes in Heritage Creek have full basements and also utilize natural gas. Heritage Creek provides unmatched curb appeal with pedestrian friendly streets, walkways and trails in a traditional neighborhood setting. Residents enjoy a relaxed lifestyle with low property taxes and tax-free shopping. Planning events and special interest groups helps the residents fill their social calendars. Heritage Creek is a friendly, progressing community and residents welcome newcomers with enthusiasm. Heritage Creek is conveniently located within the town limits of Milton, Delaware, on the southern edge of town on Route 5 in Sussex County. Residents can walk to the historic part of Milton as well as many local parks. In addition, several attractions in town are within walking distance as well. These include the Milton Historical Society, the Lydia Black Cannon Museum, and the restored Milton Theatre. Other points of interests in the Milton, Delaware area are the Nature Conservancy, Prime Hook National Wildlife Refuge, and Cape Henlopen in nearby Lewes. Angling enthusiasts will find great fishing on Wagamon's Pond and the Broadkill River. Golfers are sure to find the Rookery Golf Club to their liking. Water and sun lovers enjoy several beaches nearby: Slaughter Beach, Primehook Beach, and Broadkill Beach. Dover with its many cultural attractions as well as shopping and dining opportunities is 25 miles away from Heritage Creek and makes a great destination for day trips. 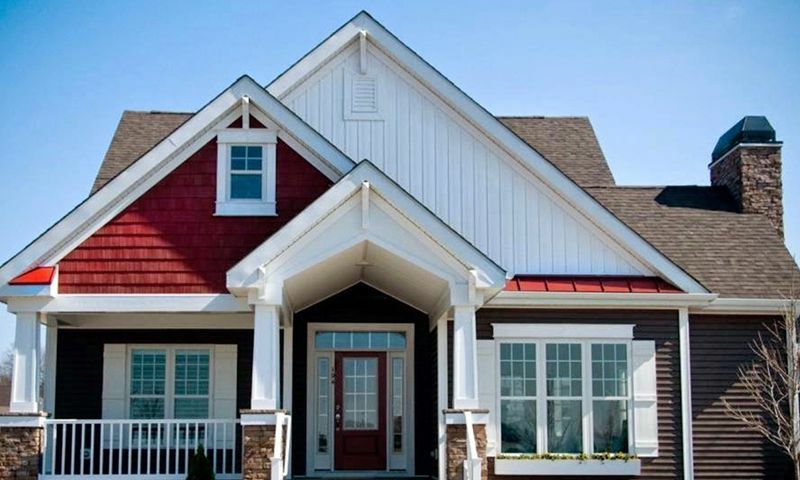 Homebuyers looking for a community with modern homes should look no further than Heritage Creek in Milton, Delaware. A proposed community clubhouse is planned for residents exclusive use. Clubhouse - 3,500 Sq. Ft. Check back soon for more information on the lifestyle in Heritage Creek. Fernmoor Homes is developing beautiful attached homes in Heritage Creek available on a new construction basis. Homebuyers can find a duplex or triplex home that ranges from about 1,712 to 2,018 square feet in size. Fernmoor Homes is developing single-family homes in Heritage Creek available on a new construction basis. Models feature 2-3 bedrooms and 2-3 baths with an attached garage. Fernmoor Homes is developing single-family homes in Heritage Creek available on a new construction basis. Models feature 3 bedrooms and 2-3.5 baths with an attached garage. Townhomes by Schell Brothers are available on on a resale-only basis. There were three townhome floor plans that range from 1,953 to 2,093 square feet in size. These attached homes have three bedrooms, two-and-a-half bathrooms, and a one or two-car garage. There many single-family home floor plans from which to choose. Heritage Creek will attract homebuyers with first-floor master suites and plenty of space for entertaining. Homes range from 1,459 to 2,854 square feet with at least two bedrooms, two bathrooms, and a two-car garage. Models by Schell Brothers are available on a resale-only basis. My wife and I recently purchased a new construction home in Heritage Creek and my wife and I are both less than satisfied with condition of the home. Certain pieces of the hardwood floors in main living/dining room are "squishy" when step you on them. We are told this is normal deflection in the hardwood/subfloor, but that doesn't seem right. Our main bedroom and another spare bedroom on the 1st floor also have noticeable ridges in the subfloor that you can feel through the carpeting. Certainly not something you would expect in a new construction home with upgraded carpets and padding. Upstairs in the hallway to a spare bedroom there is a elevation change in the floor. As you walk from the loft down the hallway you can feel the floor raise up, almost like a small ramp into the hallway. Once again that's not something that either my wife and I were prepared for in a new construction home. I have no experience with building a home, but as someone who purchased a brand new home I can tell you that I expected my floors to be flat and that the hardwood would feel solid when walking across it. I would say that our experience so far has been very underwhelming and left us somewhat dissatisfied with the total project. Visited friends over the summer at Heritage Creek and as I sat around the pool I heard all kinds of horror stories. Pretty community but changed my mind about ever buying here as I had originally planned to do. Very poor finish carpentry work. Squeaky floors, flooding basements, out of square walls, cracks in walls, water coming in around windows, siding falling off. Project managers unresponsive. The houses are nice and a decent value compared to surrounding communities. Problems, though, with a community still under construction, and with shoddy finishing work. PLUS -- many basements leak, and when it rains hard the streets flood which brings water into places where it shouldn't be. Frustrating. I have tried to get upper management involved without success thus far. I am so pleased with my new home here! If you want curb appeal Heritage Creek is perfect. I love the beautiful landscaping, front porches, pretty flowers and the unique architecture of the homes.The builders are fantastic and have made this experience wonderful for us. Living so close to the ocean is a bonus! There is a lot to do and discover locally and up or down the coastal towns. It's a wonderful place to call home for retirement. 55places.com is not affiliated with the developer(s) or homeowners association of Heritage Creek. The information you submit is distributed to a 55places.com Partner Agent, who is a licensed real estate agent. The information regarding Heritage Creek has not been verified or approved by the developer or homeowners association. Please verify all information prior to purchasing. 55places.com is not responsible for any errors regarding the information displayed on this website.